Is your facility maintenance team always running back and forth to the office/shop to check which tasks/requests are next up on their list? Are they spending time going back and forth across the building from task to task because they don’t realize they have another upcoming task in the same area? Even if you have a CMMS, these inefficiencies could still exist in your facility. As a facility or maintenance manager, it’s your job to figure out how to solve inefficiencies and maximize your department ROI. So what’s the solution? The answer is Mobile CMMS. While a “regular” desktop based CMMS allows you to easily create, assign, and track work orders, you’re still tied to your computer to view them. But, everyone carries a smart phone or some kind of mobile device around with them these days, so why not use that? 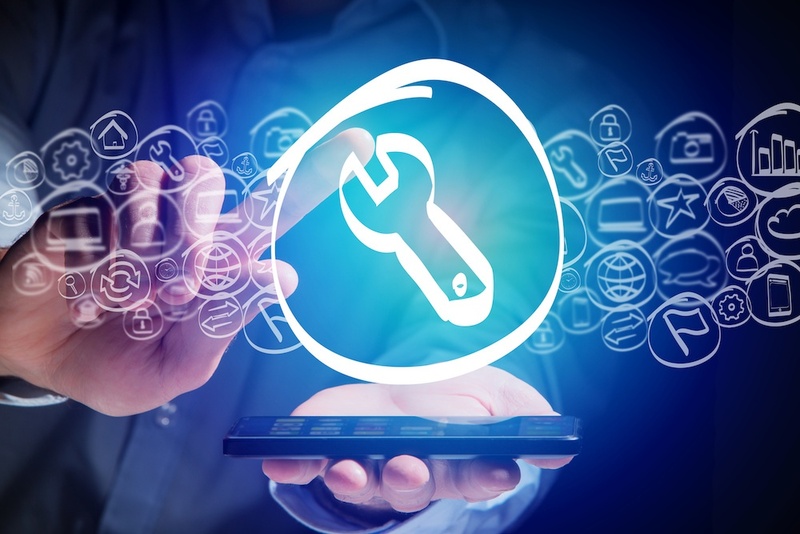 If your maintenance team tries to use their CMMS on their phone or tablets, chances are it will not be very user-friendly and notifications will be non-existent; that’s just how it is with this kind of software. What you need is a CMMS with a mobile-friendly app. One of the biggest benefits of a CMMS mobile app is that your technicians will receive (and be able to send out) all of the information they need about work order in real time. They’ll be able to edit tasks, send out additional work orders, and see the orders they currently have, no matter where they are. You’ll find your communication with and between the maintenance department members improves, which makes for a more efficient facility. A big reason why many facilities choose to implement maintenance management software in general is the increased accuracy of work orders. A mobile CMMS only further increases this. Instead of having to write down/remember their work order instructions when leaving the office/shop, technicians will be able to use the mobile app to see the info when they get to the task location. You no longer have to worry about missing notes or hearing something wrong – just use the app to enter your information and you’ll find regulatory compliance and accuracy improved. When members of the maintenance team are out “in the field” and away from the office or shop, they don’t have access to their work orders and requests. This makes it difficult for them to perform tasks in an efficient order and save time. In larger facilities this is particularly true. Workers have to come all the way back to the office to see what’s up next (or try to write it down or remember). They can also be going back and forth all over the building throughout the day doing tasks in the order they’re received when time could have been saved doing tasks in the same area all at once. All this back and forth can waste a lot of valuable time, but with a mobile CMMS app, technicians will be able to easily access all of their tasks from their own mobile device. This means they can complete them in the most efficient order, saving you time and improving your facility ROI. Of course, the biggest benefit of a mobile CMMS is right in the name: mobility. All of the above benefits to your technicians come about because they are able to use the CMMS on the go rather than having to go back and check. But, with our maintenance management software, you’ll also have the mobile ability to upload photos, find inventory, and more. Even if you already have a CMMS, if it doesn’t have mobile capabilities, it might be time for an upgrade. If you’re interested in getting a free, live demo of our software (including our mobile app) you can request one here. Or you can jump right in and get started using a CMMS with one of our three versions here.